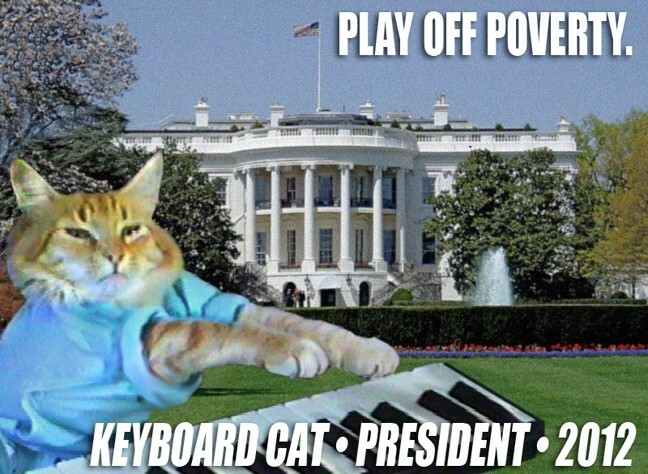 Forget voting for any human candidates in this year's election. 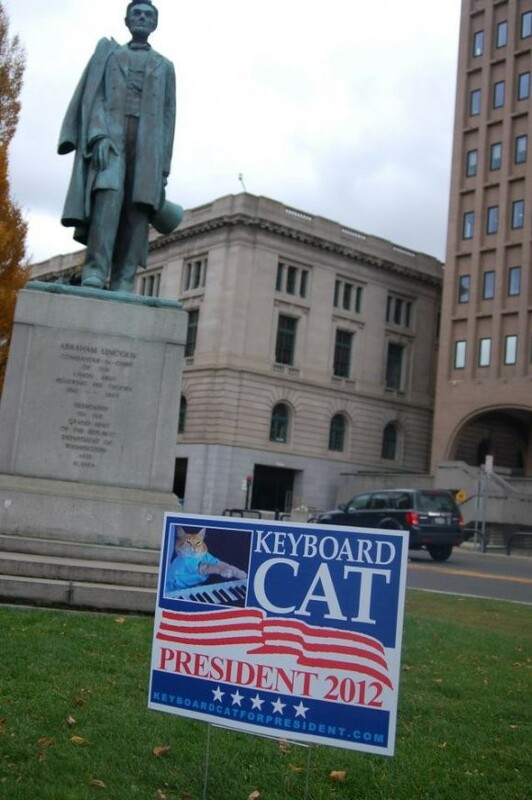 Spokane's original famous cat, Keyboard Cat, is running for prez. This is not a joke. Click here. Thanks to Tracy Martin for letting us use the first photo, and for tipping us off on this delayed, though timely campaign.